Over the centuries, careful observations have enabled wine growers to determine the most suitable vineyard practices for each wine region in order to get a satisfactory crop each year. 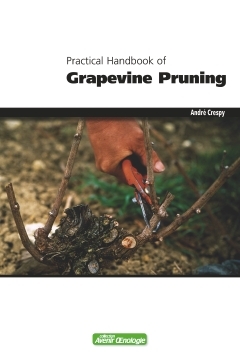 These practices include vine spacing and cluster height in order to obtain a sufficient quantity of grapes of good ripeness. We should not forget that early growers in France were constantly in search of proper ripeness and that their efforts in this area formed the backbone of the current appellation system (Appellation d’Origine Contrôlée or AOC). In recent years, climate change is erasing the memory of this once overriding problem, which was remedied in the winery by chaptalization, or sugar addition. In the last decade, good to exceptional vintages have followed one after the other in France, much to the chagrin of beet sugar growers. Grapes are harvested earlier, and tartaric acid is replacing calcium carbonate as the additive of choice, now that acid deficiency is supplanting excess acid as the most common problem. However, in other respects, nothing has changed at all, and traditional vineyard practices continue to be used. One of the best illustrations of the negative effects that occur when traditional practices continue unabated in the face of climate change can be found with Grenache in the Côtes de Rhône, Costières de Nîmes and Coteaux du Languedoc appellations. In these vineyards, Grenache now ripens extremely quickly, but with such little colour that it is hard to compensate through blending with other varieties. • Each vine is assigned a volume of soil to occupy, and it must remain within this volume, year after year. • Each vine must supply a certain quantity of grapes, as determined by the number of fruitful buds left on the vine. In general, winter, or dormant, pruning is what determines these two factors, while summer, or green, pruning is used to correct any imbalances (through disbudding, crop thinning, etc. ).